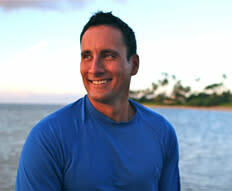 Born in Maui, raised in Hilo, Hawaii, Makani Christensen has a deep loyal love for Hawaii and its people. This passion fuels his career and desire to inspire others in their dreams. After studying at Kamehameha Secondary School, Makani graduated from the Naval Academy in Annapolis, Maryland, with a degree in Oceanography. As a military Marine Officer for 5 years, he served in both Iraq and Afghanistan. In 2008, Makani received the Joint Service Commendation medal and was honorably discharged. He realized that although Hawaii thrived on tourism, it lacked in providing rich personal connection for the tourists to embrace Hawaii's true culture. Makani wanted to provide that intimate experience and cultural education from the local people who lived it and retained the knowledge past down from their families. Now well-known, Makani consults regularly of strategic planning, ocean monitoring, and proper business handling for Hawaii's unique market. Philanthropic, largely supports HCAP programs and is an active member of the Aha Moku Council, of the DLNR.